There are a ton of memory card storage solutions on the market and many of them do a great job while remaining rather basic in design. 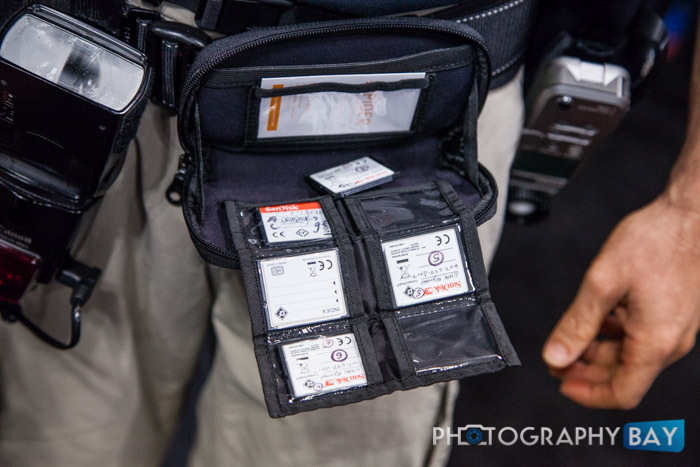 The SpiderPro Memory Card Organizer is a little more advanced than most. The memory card accordion card holder folds up into the pouch and zips closed. There is also a small exterior pouch than can hold small items like business cards. 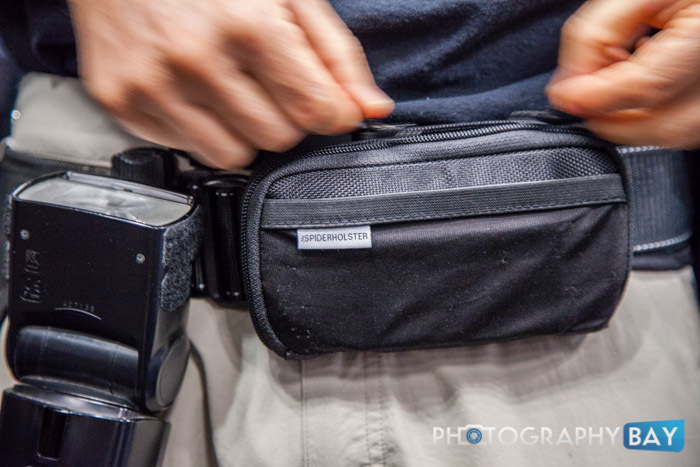 It attaches to any belt, including the Spider Holster, and can rest open while swapping cards in your camera. 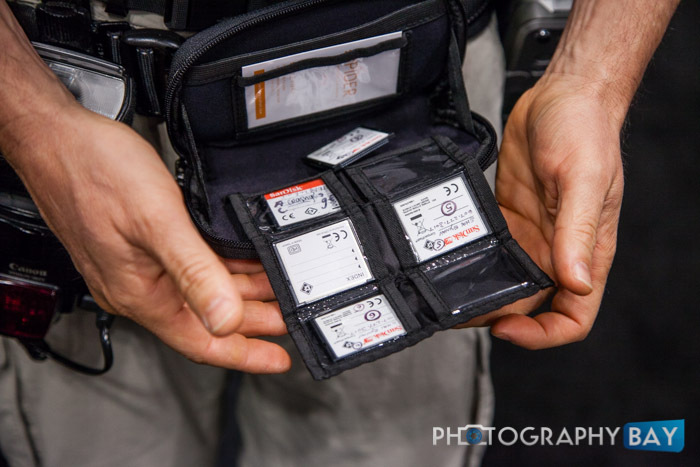 It has slots for 6 CF cards and 3 SD cards, as well as a pouch for your phone. The phone pouch can handle most smartphones; however, phablets like the iPhone 6 Plus and Galaxy Note line won’t fit. The SpiderPro Memory Card Organizer runs $35. Check it out here at B&H Photo. Check out the LensCoat wallets as well. They’re not as full featured as this (no belt attachment and pop-up mini table function), but they’re well built and functional. For MicroSD cards, there’s a credit card sized device that holds about 10 cards and an SD adapter that would be worth looking at. Wow, that looks really handy. For a power user like me, this seems like the perfect tool.